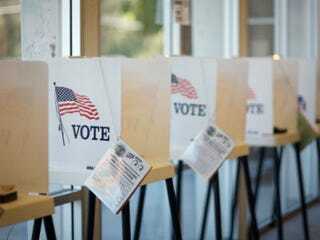 (The Root) — In a piece of good news for voter protection, on Monday an Ohio judge granted an injunction against the state's "wrong precinct" law. The ruling, handed down today in a case in which the Advancement Project challenged the legislation, means that provisional ballots cast in the wrong precinct (even if a voter was following a poll worker's instructions) won't be thrown out. "This ruling reflects the common sense that voters should not be disenfranchised because of an election official's error," said Judith Browne Dianis, co-director of Advancement Project. "We are pleased that today's decision upholds the constitutional value that every legitimate vote should count, and ensures that thousands of validly registered Ohio citizens will be counted this November." "For too long, Ohio had simply turned a blind eye to the rampant errors that resulted in voters being provided the wrong ballots, and then used said errors as an excuse to throw those votes away," said Penda Hair, Advancement Project's other co-director. "We applaud today's ruling for protecting the right to vote in Ohio."